It’s the next chapter of unpredictable weather, but that still doesn’t need to change up your dinner plans. 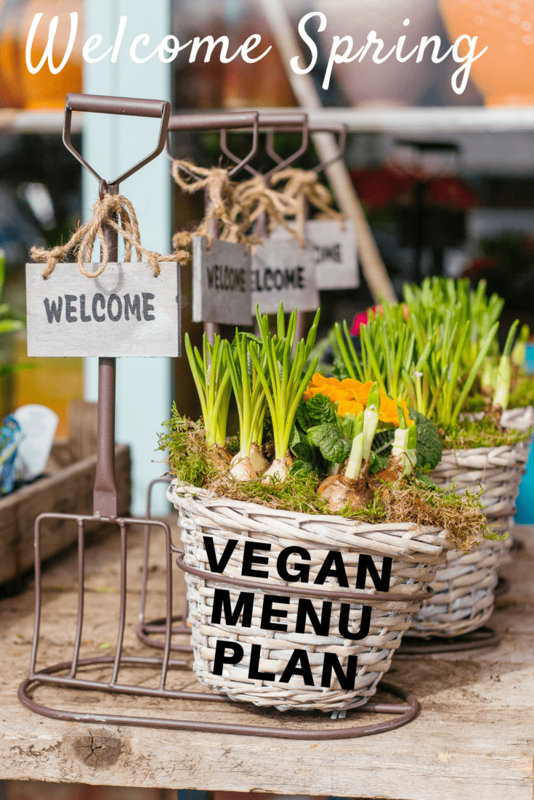 This week there’s gluten-free apple teff pancakes for breakfast, quick and easy weeknight vegan dinners, and a few surprises for the weekend – including some mini vegan avocado chocolate cupcakes. 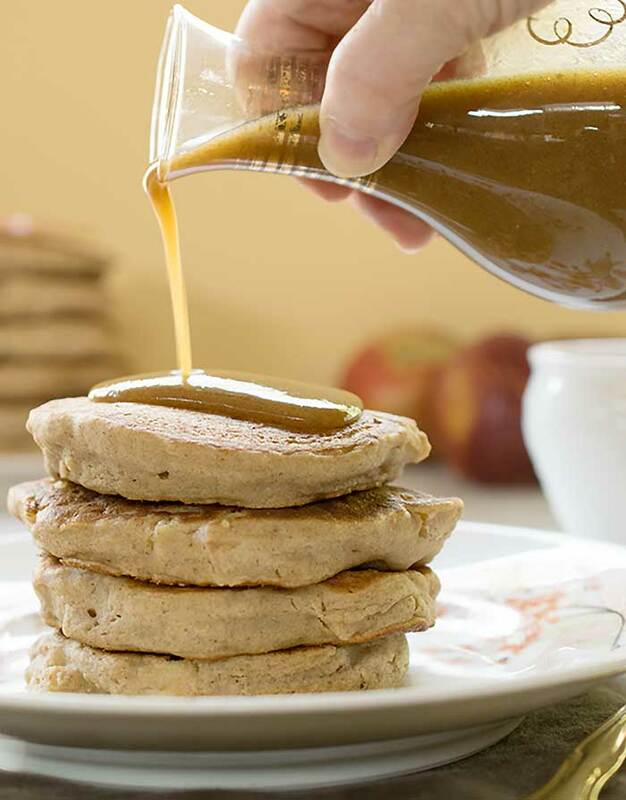 Breakfast: Celebrate another awesome morning with these Gluten-free Apple Teff Pancakes with Homemade Date Caramel Syrup. Great for weekends, holidays or any time you’d like a healthy breakfast that tastes like dessert. Monday: Feeling too tired to cook dinner? 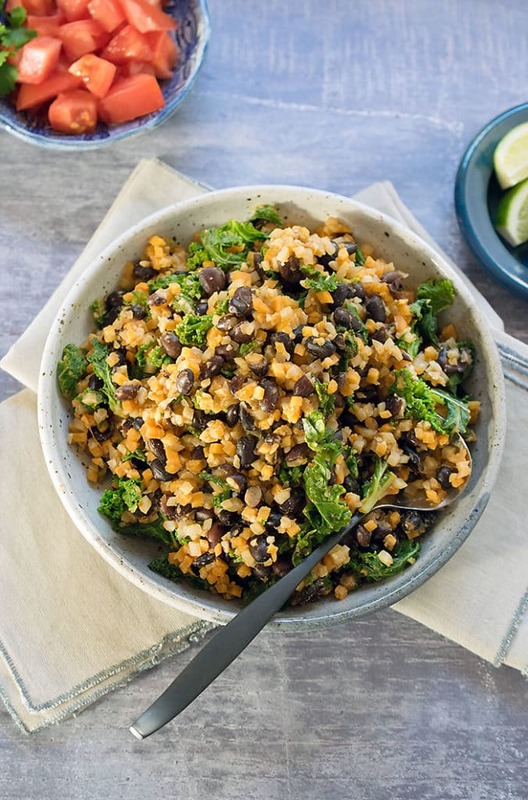 This Quick and Easy Weeknight Vegan Skillet with Cauliflower Rice, Black Beans & Kale comes together fast! 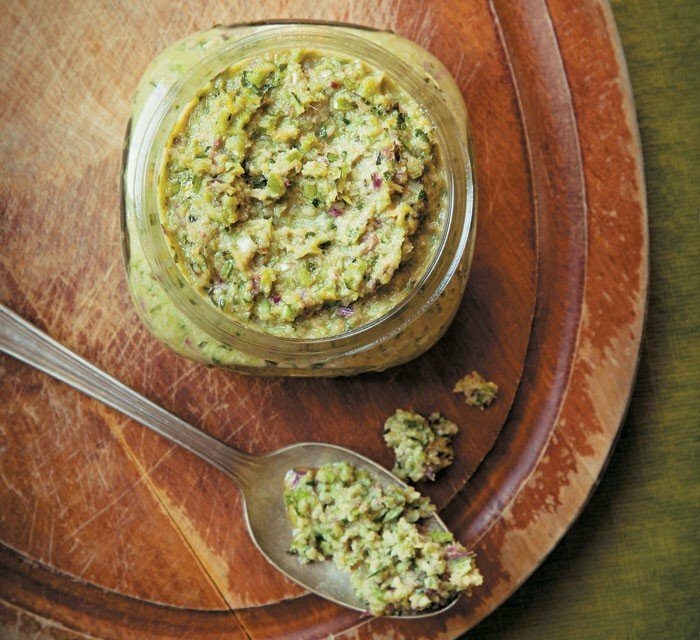 Tuesday: Never look at kale stems the same after you try this vegan Kale Stem Pesto from The CSA Cookbook by Linda Ly. 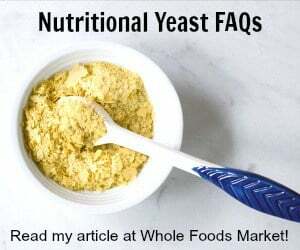 Spread onto sandwiches and pizzas or stir into pastas and soups. Wednesday: Want a hearty and filling one pot meal with the least amount of effort? 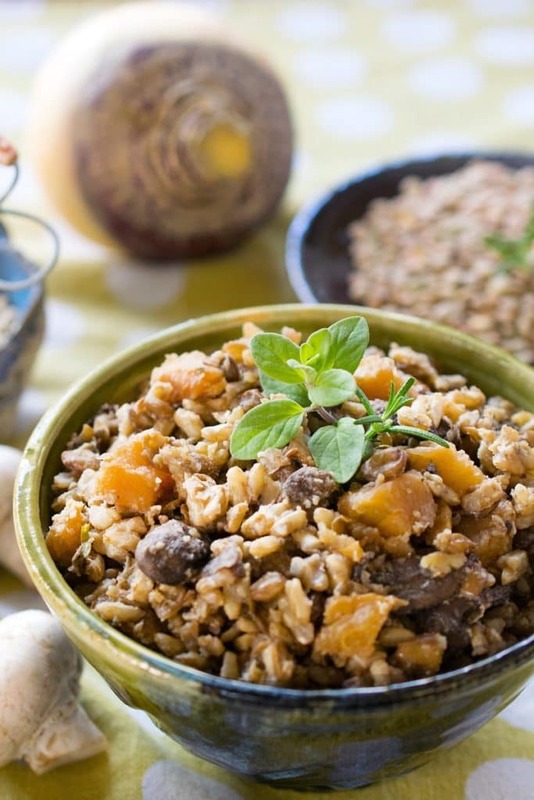 This Vegan Instant Pot Lentils and Rice with Rutabaga is the recipe for you! 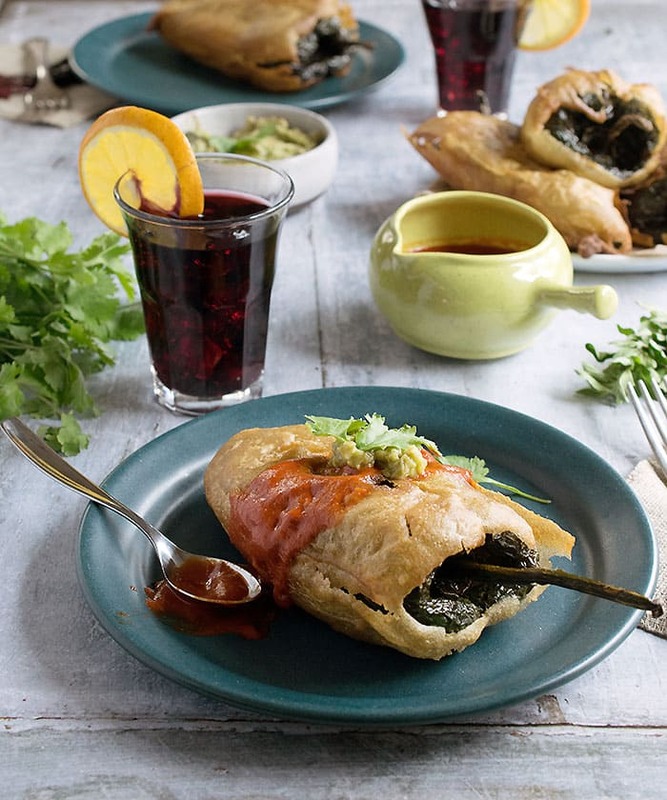 Thursday: Expand your Mexican menu with Vegan Mexico, with recipes like these slightly decadent Northern Mexico Chimichangas! 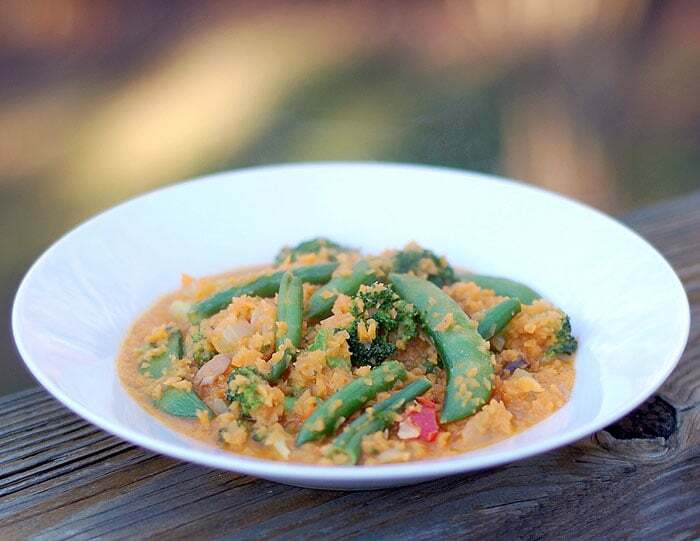 Friday: This Thai Red Curry Vegetables with Sweet Potato Rice is fun-to-make that is also quick and easy. This recipe is for one serving but you can quadruple it, and serve it to your whole family. 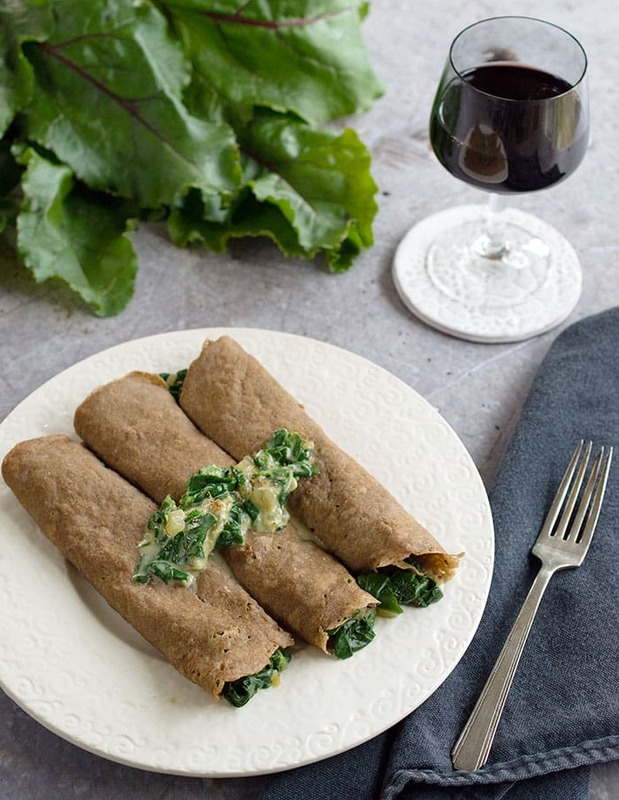 Saturday: Crepes aren’t easy to find once you go vegan, but my recipe for Vegan Gluten-free Teff Crepes can put them right back into your life. 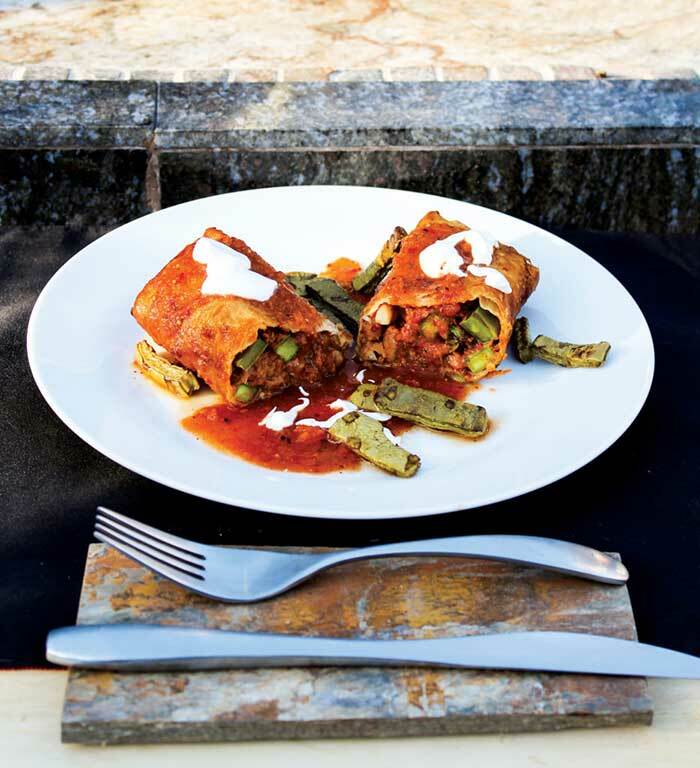 Sunday: Vegan Potato-Stuffed Chiles Rellenos (with an Oil-free Option) is the most comforting Mexican food of all. 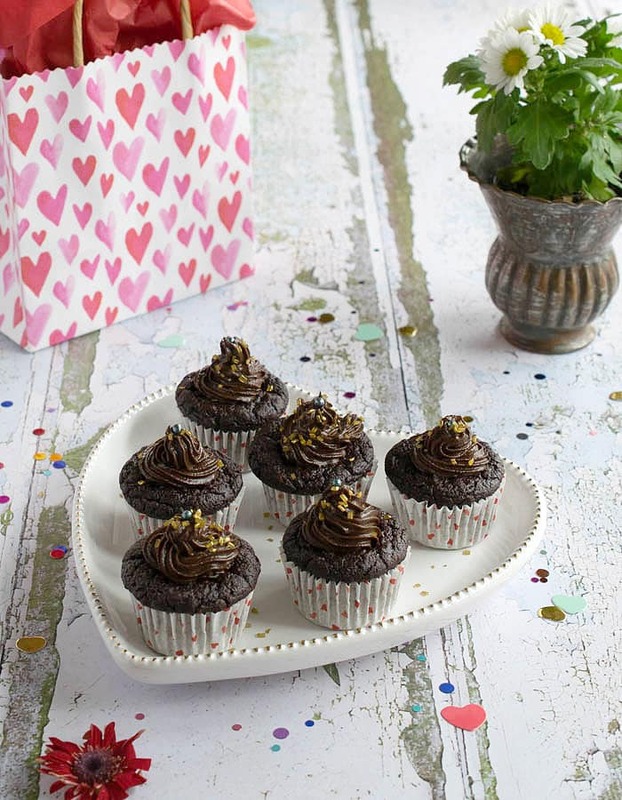 Dessert: These mini Gluten-free Vegan Chocolate Avocado Cupcakes will satisfy your chocolate cravings and are gluten-free, vegan, and have no refined oil. 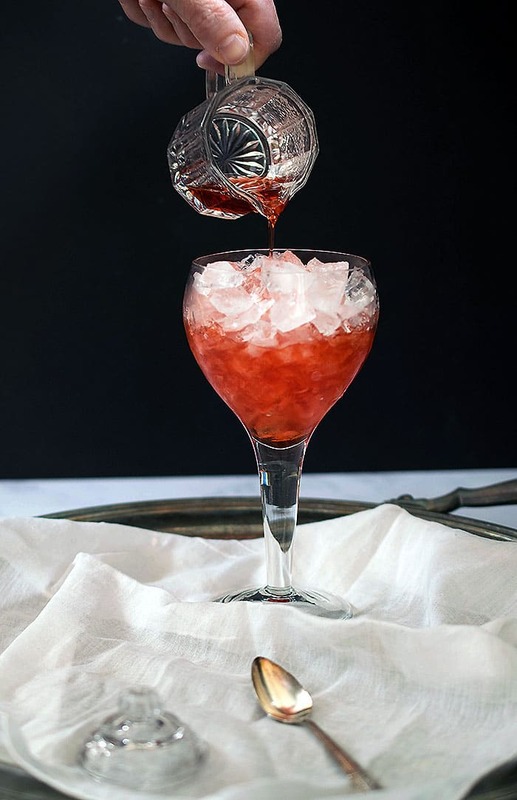 And here’s one more great recipe for the first strawberries of the year – Nancie McDermott’s strawberry shrub.